Of course nurses need to be caring, kind, and compassionate. A nurse also needs to be a good listener, problem solver, and educator. Yet so often when we hear the term ‘nurse’, we think of a middle-aged woman, working in a hospital, in some type of scrub uniform. According to the Health Resources and Services Administration (HRSA), there was a 12.5% increase in proportion of males in the nursing profession (The U.S. Nursing Workforce: Trends in Supply and Education). Additionally, according to the same document, the age of an RN is also shifting. The HRSA reports that there are actually fewer RNs aged 36 to 45 working now, compared with nine years ago, with growth in the number of nurses aged 35 and younger. This is great news for any nurse. Why? It means that these days’ nurses do not have to be pigeon-holed into a role that does not fit them. So often I receive emails, social media comments, and phone calls of nurses from across the country who have lost interest in their nursing career. They feel stifled and lost, with the common misconception that nursing can only happen in a hospital. Yet when these nurses reach out to me- I share the fact that there is hope. A nursing career does not stop in the hospital. You do not need to only work on a medical-surgical unit to gain experience as a nurse. In addition to being a caring, compassionate, and skilled professional- there are other qualities that successful nurses embody. You need to be curious. Recently, on social media, I posed an interesting question. I asked, “What was your path not taken?” A couple of nurses responded with comments relating to interests in journalism, writing, and media. In fact, before nursing, I actually wanted to become a detective ‘when I grew up’. The point here is: a nurse has to be inquisitive. Any successful nurse knows that there is often a story beneath the story that the patient/client is telling us. They may present for one reason (e.g. chest pain), yet after all medical tests are done and any physical issue is ruled out… only then does the patient quietly admit that a close neighbor recently passed away. Nurses need to ask questions and remain curious. You need to be adventurous. Another fantastic response to the question asked above was one nurse on LinkedIn who stated that she had wished she became a scuba instructor. When I heard that, I thought to myself… “Wow, how adventurous!” And then I realized- nursing is often an adventurous career. Many nurses know that no one day in nursing is exactly like another. You often show up to work, thinking that your day will go one way, and have it completely shift into something different right before your eyes. You can never know what to expect! And so nursing can be all about staying on your toes. Keep an open mind and allow yourself to remain flexible. You need to be intuitive. Now some people do not agree with the word ‘intuitive’. And that is just fine. But let me ask you this… if you are a nurse, have you ever just felt something was off with your patient? Even if all of the monitors and lab values showed that things were just fine… did you ever just know? This is that nursing instinct. Or intuition. Or the fact that you were simply trusting your gut. A good nurse needs to be able to listen to those inner thoughts/feelings/knowings and act accordingly. A successful nurse is able to see beyond the numbers and take in the whole patient. You need to be balanced. Just a second… do not stop reading! I am not talking about work-life balance or self-care here. No, what I am referring to is well-rounded. Being able to listen just as much as you are able to teach a patient something new. Being able to ask questions as well as provide evidence-based answers. Being able to do things in a professional way according to the evidence just as much as you go out and look for new knowledge via research. Being able to work on your own just as much as you ask for help from your team. A nurse that is going to have any success in this profession better be able to stay flexible, look for innovative solutions, and offer patient care in a well-rounded way. So let’s hear from you! What other qualities do you need in order to enjoy a successful nursing career? Or, an even more fun question to hear about may be: “What was your career path not chosen?” And… how can you see qualities of this other career in what you do now as a nurse? Share below! This is great, I’m pleasantly surprised to see the shift in age. I agree that you need to be adventurous. I was always told as a younger nurse to have thick skin. As someone who wears her heart on her sleeve, I found that concept difficult. 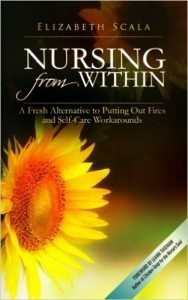 Having interests outside of nursing have enabled me to avoid burn out, but still maintain my very caring nature towards the patients. As natural storytellers, I would go as far to say that being adventurous outside of your profession will make you a more better nurse. Wonderful additions, Keilynn. 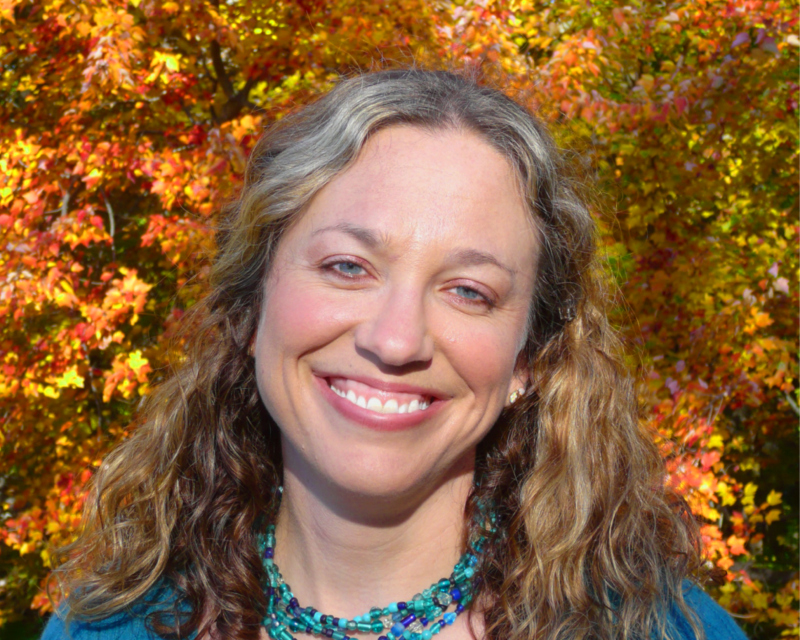 Thank you for coming by, taking the time to read, and share your thoughts on the blog. Much appreciated! 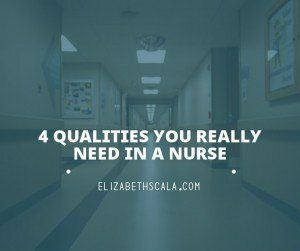 The qualities you mention are absolutely integral to being a healthy, happy nurse. I would also suggest that the ability to visualize, create and collaborate to manifest win/win situations comes from the quality of accessing the internal power of intention. Great addition, thank you so much! Here is a historical perspective from my 1970 diploma nursing school recruitment booklet. Is nursing for you? What kind of person are you? Do you care about people? Are you the warm and friendly type who likes to work with all kinds of people, young and old. rich or poor? Do you enjoy helping to care for the sick? Maybe nursing is for you. Can you make decisions? Are you willing to learn? Do you have good health and study habits? If you answer YES to all these questions, then you would probably make a good nurse. Does that make me want to return to the good old days?? NO, they were not all that great, no diversity, a rigid authoritarian rule set that was aggressively enforced and we never ventured out of the hospital. There were 76 people in my freshman class and 23 of us survived to graduation. Wow, it is interesting to read that insert from the recruitment booklet. To me, those questions asked are applicable today. A person considering nursing certainly has to have the above mentioned traits- and more! I appreciate you sharing this perspective. It is interesting to reflect on nursing then related to now. Things do change and then some things remain the same. A ‘good’ nurse does need to be flexible and work with all kinds of people. As well as having a caring nature. Appreciate the comments, thanks for sharing! 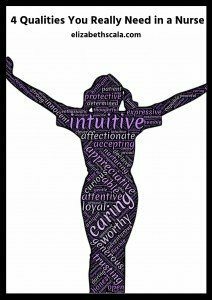 I love your fresh take on qualities that nurses should possess. A quality needed as a nurse, not on you list, is professionalism. As a nursing student I have witnessed numerous occasions of nurses fighting and bickering among themselves. Even down the hallway, where clients can see and hear! I was shocked! Wow, great point, Sam! Love this additional quality. Thank you!! As you mentioned Elizabeth, nurses are increasing ranks outside of hospital settings. I would add that having an open mind to new opportunities and gaining advanced degrees often help when opportunity knocks! Elizabeth I LOVE LOVE LOVE this! You’ve said it out loud: You can be a nurse AND creative AND…all those wonderful qualities that make us happy people. It’s okay and should be embraced and celebrated. It’s what makes us unique and excellent nurses. It wasn’t this way back when I first graduated in 1979. I was actually reprimanded for ‘caring too much’ because I was good at hair cuts and one of my patients had been in the hospital for months post CVA. Things were so quiet around the holidays and I had free time. She was so happy she cried. My supervisor wasn’t happy with me. 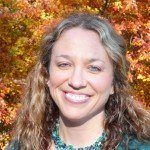 I almost gave up nursing because I thought it just wasn’t a good fit for me. Look how far we’ve come! Look how far I’ve come! Oh my goodness. What a nuts-o supervisor (forgive me). How could someone not be happy when you made the patient feel so good? Wow! Thanks for sharing this experience with us, Carmen. I (and I am sure many others) am very happy that you did not leave. Look at what you are working on now!! Thanks for coming by and sharing your thoughts. These are great qualities, Elizabeth and I can almost FEEL how they would infuse our profession and cultures with a progressive and dynamic energy. I especially love ‘being curious’ b/c it is one of the most fundamental and critical listening skills…. If I was going to add one, I’d add-be grateful….for the privilege of intersecting with people’s lives in such profound ways and same goes for working with inspiring colleagues like you all! Oh, the gratitude one! I cannot believe I left that off, Beth. That has to be one of THE best ways to be a nurse! For you are so right… we are allowed this wonderful moment into the patient’s life. Thanks for your comment, Beth! This was a great article and I agree with all the qualities you mentioned above. I also would had creative and flexible. Sometimes as nurses we’ve got to think of creative ways to make things work when we are short staff or have limited resources. Flexibility is key because like you mentioned under the adventurous quality no two days or nights are the same for nurses and we’ve got to be willing to roll with it. Thanks for the reminder of the great qualities we possess as nurses. These are great additions. Thanks, Cassandra! I never thought about how nursing is an adventurous career. Like you said, no one day is like another. Since you can’t know what to expect, you need to know what resources are available to you if someone files a complaint or something unexpected happens.